basis of Size, Shape and Resources. OR How digital computers are classified? Micro computer is also called personal computer. It was introduced in 1970. 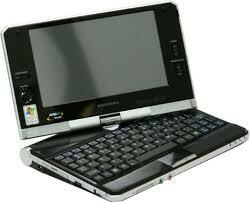 It contains input devices, output device, storage device, memory and processor. It is used by one person at a time. Examples of personal computers are PC and Apple Macintosh. The major types of personal computers are desktop computer and portable computer. These computers can easily fit on a table or desktop, hence the name. These computers come in two models or casings. 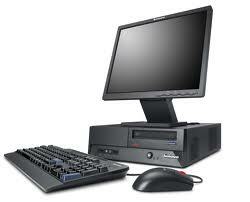 In Desktop model, the system unit is placed on the desktop or table. Monitor is placed on the system unit. In Tower model, both monitor and system unit are placed on the table. Portable is a personal computer that can be carried from one place to other easily. Notebook computer and handheld computer (smart phone) are examples of portable computers. Notebook computer is also called laptop computer. Laptop computers are very small in size and can be placed easily on lap. 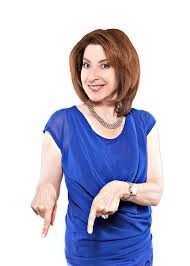 Handheld Computers (like smart phone) are also potable. Handheld computer is also known as palmtop computer. It easily fits in the hand of the user. The PC is the most common type of computer used in the office. It is now widely used in many homes. These are also used for business and engineering application. Mini computers were introduced in the 1960s. Mini computer is larger and more powerful computer than personal computer. It can execute five million instructions per second. It generally consists of two or more processors. 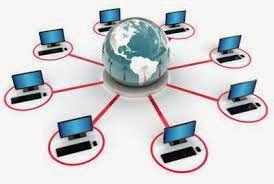 Mini computers are often used by small and medium-sized companies to provide centralized store of information. Mainframe computers were introduced in 1975. 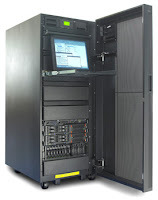 A mainframe computer is a very large computer in size. It is more powerful than mini computer. It consists of multiple processors. It is designed to perform multiple tasks for multiple users at the same time. Mainframe computers can serve up to 50,000 users at the same time. Mainframe computers are used in large organizations. For example, airlines use these computers for ticket reservation system. NADRA - The Computerized National Idenity Card Issuer in Pakistan - uses mainframe computers to maintain the information of population. Super computers were introduced in 1980s. Super computer is the fastest computer. Super computer is the biggest in size and the most expensive in price than any other computers. expensive. Supercomputers are used for highly calculation-intensive tasks. Super computers are used for specialized applications that require immense amounts of mathematical calculations. Supercomputers were designed primarily by computer scientist - Seymour Cray at Control Data Corporation (CDC). 7. and petroleum exploration etc. Today, supercomputers are produced by traditional companies such as Cray, IBM and Hewlett- Packard, who had purchased many of the 1980s companies to gain their experience. 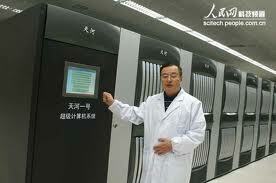 Since October 2010, the Tianhe-1A supercomputer has been the fastest in the world; it is located in China. The main difference between a supercomputer and a mainframe is that a supercomputer channels all its power into executing a single program as fast as possible, whereas a mainframe uses its power to execute many programs concurrently. The modern super computer consists of thousands of microprocessors. Super computer uses high-speed facilities such as satellite for online processing. Examples of super computers are CRAY-XP, ETA-10, and Deep Blue and above all Todays number one super computer is Tianhe-1A supercomputer of China. Aircraft companies use super computer to simulate aircraft and check its performance. Many Hollywood movies use it for animation purposes.